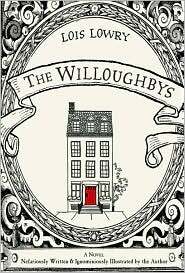 The Willoughbys, although perfect for all ages, has an age range of 9-12 attached to it by the publisher. What do they know? i love this book! my life is suddenly more exciting!